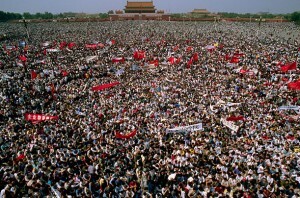 On Sunday, the sun will rise once again on Tiananmen Square, much like it did on the same Sunday 28 years ago. 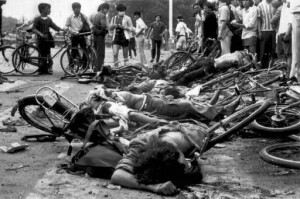 But unlike that Sunday – June 4, 1989 – Beijing will not awaken to its city occupied by the Chinese military nor the streets surrounding Tiananmen Square littered with the dead bodies of unarmed civilians. Instead, life will go on in China with no official acknowledgement of the anniversary of that fateful day 28 years ago when the Chinese government ordered its military to open fire on its own people. The exact number of people killed the night of June 3, 1989 into the early morning hours of June 4 is only known to the perpetrators of the massacre: the Chinese Communist Party (“CCP”). But whether it was a few hundred or a few thousand does not diminish the fact that peaceful protests were squashed with such a violent – and unnecessary – crackdown. Contrary to the CCP’s interpretation of events, the protests in Beijing were not counter-revolutionary attempts to undermine the CCP. And contrary to the Western media’s perceptions at the time, it was not an effort to bring Western democracy to China. Instead, the protests were deeply rooted in China’s own history and tradition, a tradition of students conducting patriotic demonstrations in an effort to strengthen their country. In 1989, those efforts were directed at the nepotism and corruption that was beginning to plague the CCP, the economic turmoil brought on by inflation, the lack of personal freedoms and government censorship. While students started the protests, eventually, much of the populace joined in, with workers going on strike to support the movement. By mid-May, the protests would draw over a million people on a daily basis. Neither the May 19 declaration of martial law nor the pleading by sympathetic leaders for protesters to clear the square stopped the protests. 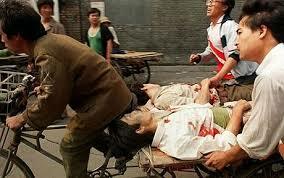 And on June 3, 1989, Deng Xiaoping gave the order for the army to fire on the civilians. For a brief time after the crackdown, the CCP did acknowledge the event. Not to celebrate the brave men and women who gave their lives to better their country, but to condemn them. Slowly, however, the CCP’s policy changed and instead of trying to change the narrative of that night, the CCP chose to forget it. Today, the Tiananmen massacre is largely scrubbed from the Chinese internet, it is not allowed to be discussed openly and many of the children born after 1989 do not know of the truth of that night. But every year, there are still those in China willing to risk their freedom to commemorate the violent crackdown on Tiananmen Square. 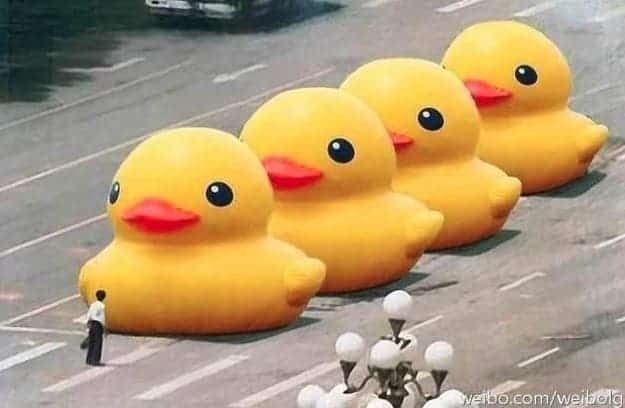 A few years ago it was Chinese netizens reposting the image of the Tank Man – the Chinese citizen stopping a line of tanks, a banned picture on the Chinese internet – standing in front of a line of large, yellow rubber ducks. The picture spread on the Chinese internet until the Chinese authorities got wind, and censored “yellow rubber duck.” This year, it is four men who produced a Chinese rice wine with a label that references “6*4”, a shorthand for the June 4 crackdown, and calls on people to “never forget.” While the bottle has been smuggled out of China by a sympathetic Chinese official, those four men are currently facing charges of inciting subversion of state power. 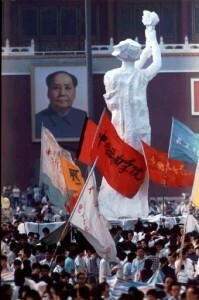 As much as the CCP may try, China will not forget the brave men and women who lost their lives on June 4, 1989. For there are still enough Chinese people who are willing to put their safety on the line to ensure that that does not happen. Wang Nan (pronounced Wong Nan) is a 45 year old Beijinger. Born in 1970, he has seen his city radically change under China’s economic miracle. In fact, as a photojournalist, he has documented China’s unfathomable rise and has been fortunate enough to partake in it. Wang Nan and his wife live more than comfortably in their renovated, Western-style apartment, where his photos from around the world line the walls. He knows he has been lucky, and he will tell you that immediately when you meet him; even with his world travels, he is still a fairly humble man. His 11-year-old daughter worships him even when he sings off key on their Sunday morning car rides to visit his mother. His 78-year-old mother, like all mothers, criticizes him as soon as he arrives – his hair is too long, he’s too skinny, he spoils his daughter – her granddaughter – too much. But like all mothers, she is proud of her son. And Sunday is her favorite day of the week. But Wang Nan is not 45 years old. He has not shared in China’s economic miracle. He does not have a daughter. And he never sees his mother. For Wang Nan never made it past the age of 19. Instead, in the early morning hours of June 4, 1989, on the corner of Nancheng Street and Chang’an Boulevard – the Boulevard of Eternal Peace – a People’s Liberation Army’s bullet ripped through this high school student’s head. beating when doctors found him unconscious, bleeding from the head. They wanted to take him to the hospital, but the soldiers forbade it. Frantically, the doctors used their last bandage to cover his wound and stayed with him until he died two hours later. With the sun rising on that June 4 morning 26 years ago and desperate to hide the bodies, the soldiers dug a shallow grave in the lawn of the nearby school and dumped Wang Nan’s body there along with two other civilians. There it would lie until a few days later, when the stench was overwhelming and the dirt was beginning to wash away, the health department came to collect the bodies. Wang Nan’s mother, Zhang Xianling (pronounced Zhang See-ann Ling), one of the founders of the Tian’anmen Mothers, has never been allowed to visit the spot where her son took his last breath. Every June 4, she is held under house arrest, with police standing guard at her apartment door, refusing to let her leave or for anyone else to come in. In a symbol of tormented anguish, she will communicate with the outside world on the anniversary of her son’s death by holding a photo of him out of her apartment window. Twenty-six years later, as Lim poignantly recounts in her book, it is this impediment to remembrance and the Chinese Communist Party’s (“CCP”) complete control of the history surrounding June 4th that is perhaps the greatest tragedy of all. And as Lim points out, it is not just the parents who lost children that are not permitted to remember. Bao Tong (pronounced Bow (rhymes with pow) Tongue), director of China’s Office of Political Reform in 1989 and right-hand man to his mentor Zhao Ziyang, believed that Deng’s economic reform must be coupled with political reform, otherwise corruption would prevail. After the Tian’anmen crackdown, it was those thoughts that were blamed for the student protests and resulted in a seven year prison sentence for Bao. In 2005, when Zhao Ziyang passed away, the police, which constantly stand guard at his apartment, refused to let Bao attend the funeral. When his elderly wife attempted to go, the police pushed her to the ground, causing her to break a bone. It is this recounting of the people’s history and the ghosts that still haunt them, that makes The People’s Republic of Amnesia one of the most important and moving books about the Tian’anmen crackdown. Lim also does an excellent and unbiased job of describing the precise events that lead up to the crackdown making the book a must read for anyone who wants to understand China’s history and the current leadership’s obsession with “social stability” and complete control. But Lim not only tells the stories of those who witnessed the crackdown, but also those for whom June 4, 1989 has no significance, namely the babies born after 1990. 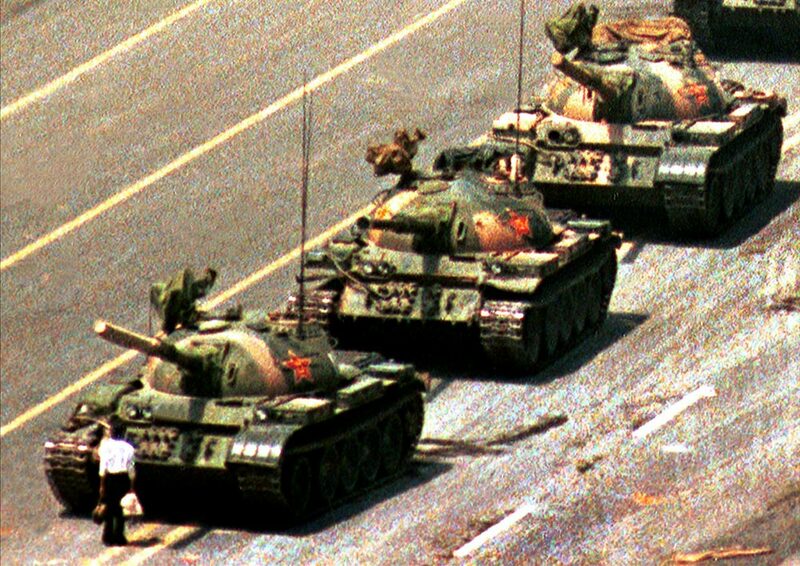 In one study that Lim conducted, only 15 out of 100 Chinese college students were able to identify the infamous Tank Man photo, a photo that epitomizes the Tian’anmen crackdown and that is perhaps one of the world’s greatest symbols of courage. She follows a college student who goes to Hong Kong to try to understand Tian’anmen, but when he returns to China, he just seems confused and deflated. And then there is the Patriot, a Chinese car salesman who goes to Beijing to participate in the government-sponsored protests against the Japanese. Their failure and inability to know about the Tian’anmen crackdown demonstrates the true effectiveness of the CCP’s re-writing of the Chinese people’s history. Or does it? 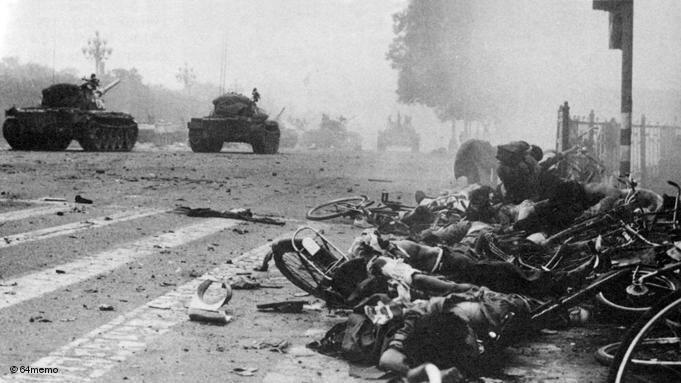 Yes, there is a generation of Chinese who have not heard of the Tian’anmen massacre. And then there are others who choose not to care. But to assume that the CCP can so easily erase this dark moment in China’s history is to deny the Chinese people their conscience. 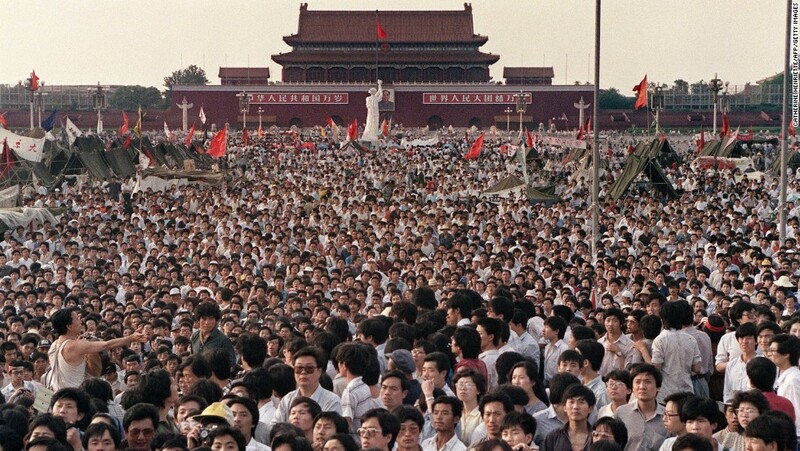 There is still a generation of Chinese – those born in the late 1960s and early 1970s – who know about Tian’anmen because they were alive when it happened. When this generation comes to power and can change the history, will they? Yes they might be busy making money now, but they have yet to ascend to leadership roles that would enable them to disclose the truth and recognize the bravery of those who died on June 4, 1989. There are the 11 Chinese college students, currently studying in various universities in the United States, the United Kingdom and Australia, who wrote an open letter to the Chinese people to communicate what happened on June 4, 1989. The government-controlled Global Times responded with an op-ed condemning these students. Like the students of 1989, these students have chosen to jeopardize their futures in China in an attempt to get the CCP to acknowledge June 4. And then there are those – like the doctors who tried to help Wang Nan as he laid dying or the medical intern who, knowing the danger, gave Zhang Xianling her son’s last effects, or the individual who took out an ad in 2007 in a Chengdu newspaper stating “Paying tribute to the strong(-willed) mothers of June 4 victims” – who, when confronted with the choice, will do what is morally right, not what is politically expedient. For these people, the world must continue to remember June 4, 1989, so that when the Chinese people themselves can commemorate this anniversary on their own terms, the memory will still be there. Twenty-five years ago, on the night of June 3 and into the early morning hours of June 4, 1989, tanks rolled in to the streets of Beijing and the Chinese government did the unthinkable: it opened fire on its own people, killing hundreds if not thousands of unarmed civilians in the streets surrounding Tiananmen Square. That violent crackdown marked the end of seven weeks of student-led, peaceful protests in the Square itself, protests that were supported by much of the rest of Beijing, protests that would amass hundreds of thousands of people a day, protests that people wistfully thought would change China. Twenty-five years later the students who participated in the protests are no longer fresh-faced, wide-eyed college kids, the workers who supported them are retired, and many of the bicycle rickshaw drivers who ferried dying students to hospitals on that bloody Sunday morning are long gone. Along Chang’An Avenue, glitzy buildings have replaced the blood and bullet holes. Starbucks stand near where students once went on hunger strikes. 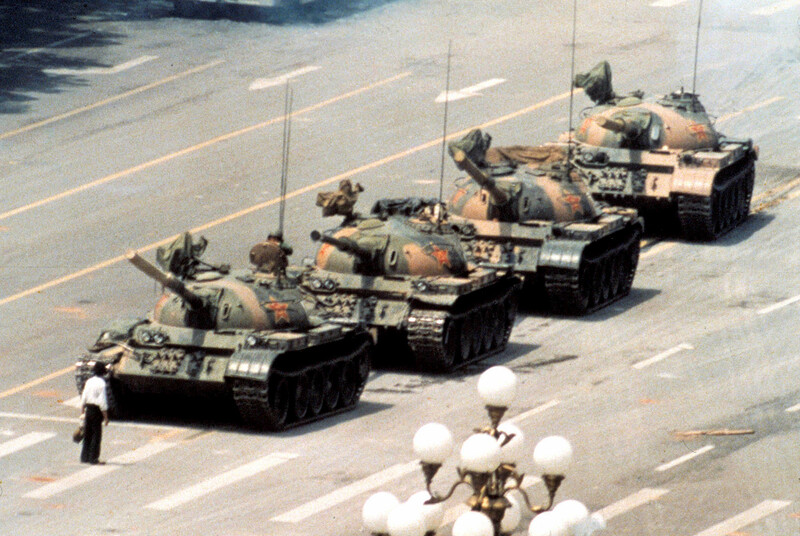 Tiananmen is different; China is different. But yet there are some things that remain the same. The government that ordered the crackdown 25 years ago – the Chinese Communist Party (“CCP”) – is still in power and many of the gripes that initiated the student protests – corruption and nepotism among political elites, lack of personal freedoms, and government censorship – have only gotten worse and continue to be the impetuous for activists. And, like the students in 1989, these activists are still willing to risk their lives to promote the values enshrined in the Chinese Constitution and guide China to become a better place for its people. Hundreds of thousands of Beijing residents – students, workers, ordinary people – supported the protests. particular, China’s rise as a global power. Criticizing China for human rights violations and its failure to live up to its own laws is not as easy as it was in 1989 when President George H.W. Bush cut off government ties, military relations, and the sale of U.S. government goods the day after the Chinese government’s crackdown. Imagine denying U.S. businesses the opportunity to sell products to the world’s second largest economy? That would never happen today. And to severe relations with China – would the American public want to so easily give up its cheap Walmart goods or be denied the ability to obtain the newest iPhone? Probably not. The Chinese government understands the soothing and influential comforts of our material desires. But perhaps the most troublesome change is how the CCP now deals with dissent. If the last few months are any guide, excessive violence continues to be the modus operandi of the CCP. Cao Shunli (pronounced Ts-ow Shoon-lee), an activist who organized small, peaceful protests that called for citizen participation in China’s United Nations human rights review, was detained for “picking quarrels and causing trouble,” was denied medical treatment for months, and died in police custody. Tang Jitian (pronounced Tang Jee tee-an), a disbarred-lawyer-now-activist that sought to assist Falun Gong practitioners, has recounted the physical torture he suffered while in police custody in March. Since coming out of detention with 16 broken ribs, Tang has all but effectively been denied appropriate medical care for his tuberculosis which has gotten significantly worse. But the CCP has learned from its mistakes. No longer is its violence against dissent as public as it was the morning of June 4, 1989. And no longer does the CCP come off as a lawless regime. Instead, its cloaks its crackdowns with a veneer of legality. 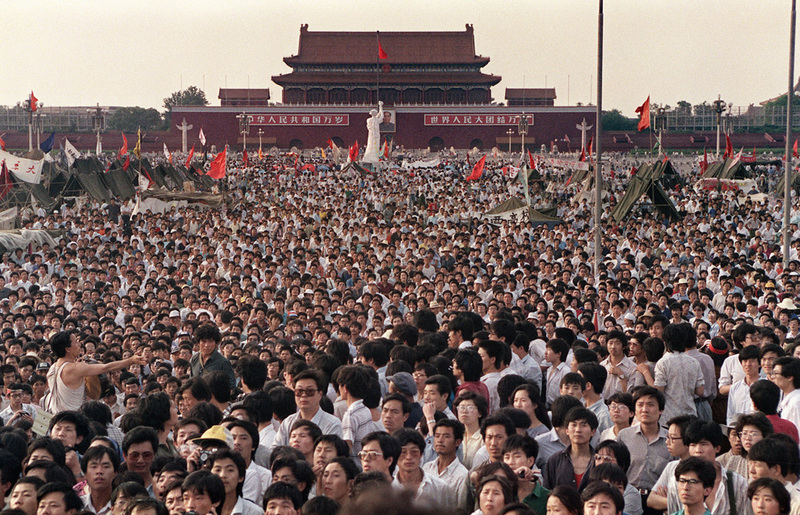 Since April 2014, in preparation for the 25th anniversary of the Tiananmen massacre, the Chinese government has detained – either criminally or through unofficial house arrest – over 84 individuals. But these individuals are not detained under the guise of being counter revolutionaries like the students of the 1989 movement. That would be too obvious. Instead, the Chinese government has slapped the vague and overly broad crime of “picking quarrels and provoking troubles.” After 20 years of Western rule of law programs, the CCP has come to realize that the easiest way to deflect global criticism is to follow legal procedure, no matter how abusive, vague or entrapping that legal procedure might be. examined and criticized. China’s activists are being violently detained and imprisoned in record numbers “in accordance with the law.” But that suppression of dissent is no different than what happened in 1989. It is another method of killing the chicken to scare the monkeys – ensuring that the violence against a few “troublemakers” teaches the rest of society not to rock the boat. This time though the rest of the world is increasingly complacent. 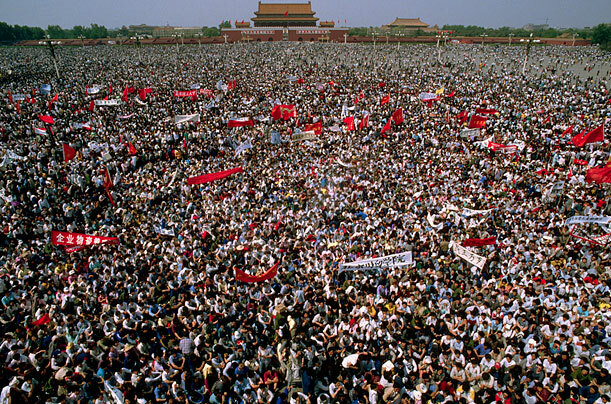 As the world marks the 25th anniversary of the Tiananmen Square massacre on Wednesday, China will be the lone nation that will not. Since 1989, its people have been forbidden to commemorate the event; they are not permitted to remember; they are not allowed to note those fateful days that changed their lives more than anything in China’s recent past. And that is why the events that other nations hold in honor of the many brave Chinese people who lost their lives on that night are so important. Because while the Chinese government has found new strategies to more effectively deal with international criticism of its treatment of its people, the one thing that the outside world still has is the truth. But that truth must not be limited to just what happened 25 years ago; it must also be used to call on China today stop its suppression of dissent today. To do otherwise is a disservice the victims of that night.